Congressmember Joe's Letter to the S.V.A. shall be Posted! 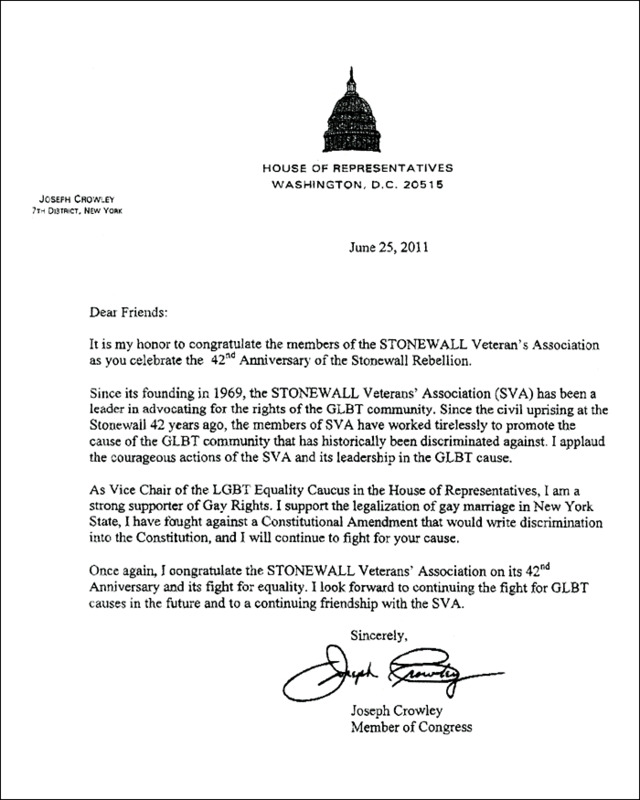 2011 Letter from Congressman Joseph Crowley to the S.V.A. Other Letters from Congressman Crowley to the S.V.A. 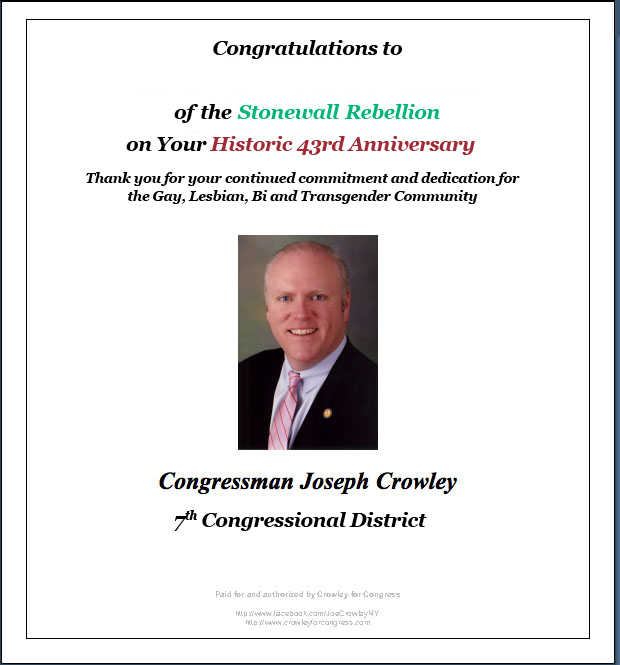 The STONEWALL Veterans' Association is pleased and proud to confirm that it possesses other letters and invitations from Congressman Crowley spanning the past decade!